The Dogo Argentino is a large, white, muscular dog that was developed in Argentina primarily for the purpose of big-game hunting, including wild boar and puma; the breeder, Antonio Nores Martínez, also wanted a dog that would exhibit steadfast bravery and willingly protect its human companion to the death. It was first bred in 1928, from the Cordoba Fighting Dog along with a wide array of other breeds including, but not limited to, the Great Dane. The Dogo Argentino is a large white short-coated dog with very muscular and strong body that rarely has any markings (any type of marking or spot on the coat is considered a flaw). Breed Standard Height: From 23.6 to 25.6 inches (60 cm to 65 cm [females]) or 23.6 to 25.6 inches (60 cm to 68 cm [males]), measured at the withers. Weight: From 40 to 54 kg. The length of the body is just slightly longer than the height, but female dogs may be somewhat longer in body than male dogs. The length of the front leg (measured from point of elbow to the ground) is approximately equal to one-half of the dog's height at the withers. The head has a broad, slightly domed skull and the muzzle is slightly higher at the nose than the stop, when viewed in profile. The tail is set low, thick at the base and tapers to a point. 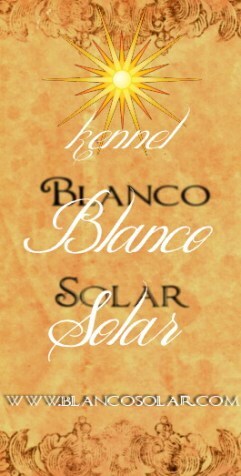 It has been described as looking similar to the American Bulldog but very tall with a solid white coat. The breed has also been described as looking similar to the American Pit Bull Terrier, even though the American Pit Bull Terrier is far smaller (30 to 60 pounds). As in the Dalmatian, white Boxer, and the white Bull Terrier, the dogo may experience pigment-related deafness. There is possibility of an approximate 10% deafness rate overall with some dogos afflicted unilaterally (one deaf ear) and some binaurally (deaf in both ears). Studies have shown that the incidence of deafness is drastically reduced when the only breeding stock used is that with bilaterally normal hearing. Hip dysplasia is also a common health concern. Dogos are big-game hunters and are sometimes trained for search and rescue, police assistance, service dogs, and military work. As with all breeds, the Dogo Argentino can be good with children, if properly socialized at early age. Dogo Argentinos have been bred specifically to allow better socialization with other dogs and are well suited for group environments. They get along with other pets in most rural and urban settings ranging from a complete outdoor farm dog to urban housing with a small yard, to crowded apartment buildings. Because aggressive traits are purposely bred out, attacks on humans or other pets are extremely rare. The Dogo has a life expectancy of 12 to 14 years. 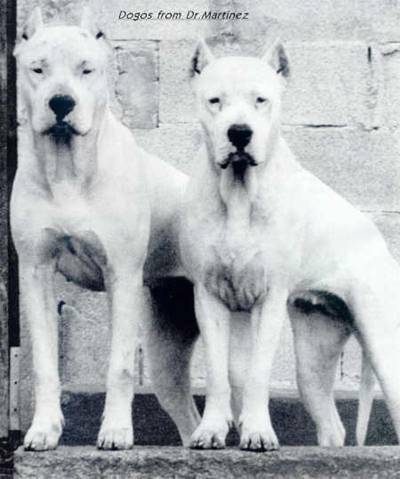 While the Dogo Argentino was bred primarily from the extinct Cordoba Fighting Dog, it was bred to be a cooperative hunter, i.e. to accompany other catch dogs and bay dogs on the hunt without fighting with the other dogs. Aggressive traits inherent in the Cordoban Dog were specifically bred out to enable a stable cooperative nature in a pack. However, in areas where dog fighting continues, the Dogo Argentino has been used for fighting due to its fearless nature and great stamina. The Dogo Argentino is banned in certain countries such as Ukraine, Iceland, Australia and Singapore. In the United Kingdom, it is illegal to own a Dogo Argentino without lawful authority and the maximum penalty for illegal possession of a Dogo Argentino is a fine of £5,000 and/or up to six months imprisonment. Laws vary in the United States, with bans on the breed enacted in Aurora, Colorado (Aurora, Colorado, removed 7 of 10 breeds from the ban list including the Dogo in 2011) , as well as the New York City public housing. In 1928, Antonio Nores Martinez, a medical doctor, professor and surgeon, set out to breed a big game hunting dog that was also capable of being a loyal pet and guard dog. Antonio Martinez picked the Cordoba Fighting Dog to be the base for the breed. This breed is extinct today, but it was said that as a large and ferocious dog, it was a great hunter. Martinez crossed it with the Great Dane, Boxer, Spanish Mastiff, Old English Bulldog, Bull Terrier, Great Pyrenees, Pointer, Irish Wolfhound and Dogue de Bordeaux. Nores Martinez continued to develop the breed via selective breeding to introduce the desired traits.